Mr Mackenzie started his business four-years-ago in the middle of the recession and made it his mission to help local residents find high quality, low cost options to protect their most valued possessions. 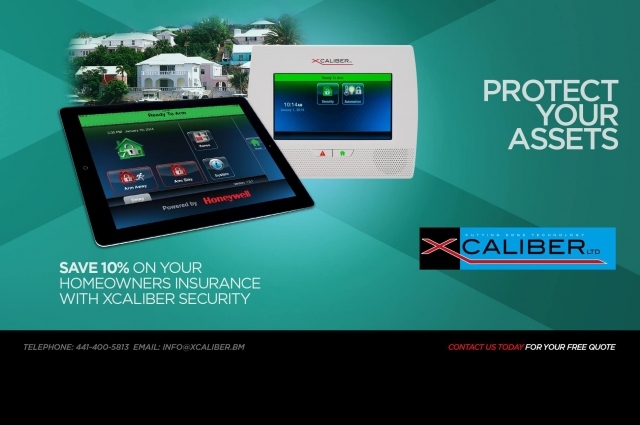 Securing your home or business has never been more simple or affordable. 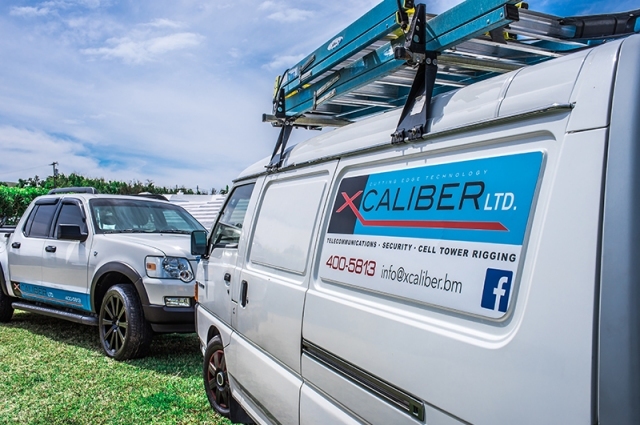 That’s the word from Conrad Mackenzie, owner of security installation firm Xcaliber Ltd.
“I keep my prices competitive and try to accommodate a variety of budgets,” he said. “I want everyone who needs it to be able to afford a security system because they can be very pricey. I want to give people that peace of mind knowing their assets, especially their family members, are safe and sound. 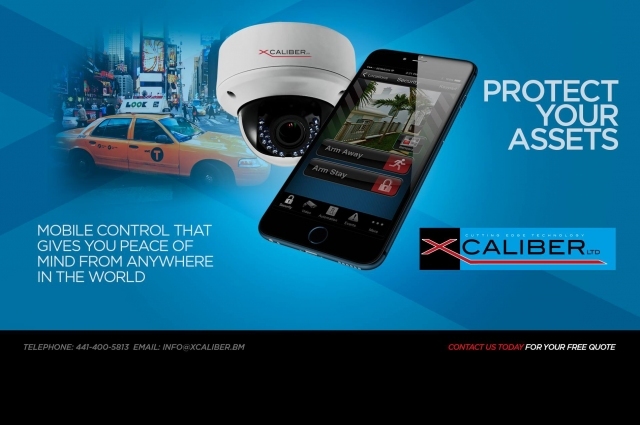 In addition to flexible payment plans, Xcaliber Ltd aims to be a front runner in terms of customer service. Mr Mackenzie said he’s worked for bosses in the past where it was all about the money; instead he aims to take a more people-centred approach. Home and business security systems, like Intruder alarms and CCTV cameras, are becoming more common on the island, Mr Mackenzie explained. 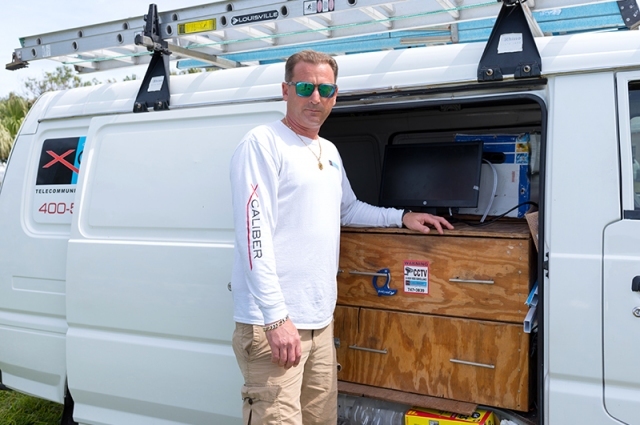 “Bermuda is definitely far from what it used to be in terms of safety and you have to adapt with the times and do what you have to, to protect your assets, your home and your family,” he said. “Some people have the financial means and just get a security system just in case; others decide to get one after an incident. Their home has been broken into or a bike stolen from their property and they get a camera to prevent anything further from happening. “I also get calls from people who have just moved to the island and would feel safer knowing they have some extra protection. It helps them sleep better at night. We have clients who travel for business frequently and have Intruder/ CCTV system installed to make sure their family is safe while they’re away. Even when you’re at home you can arm the security system and if someone tries to break in all the bells and whistles are going to sound off,” he added. 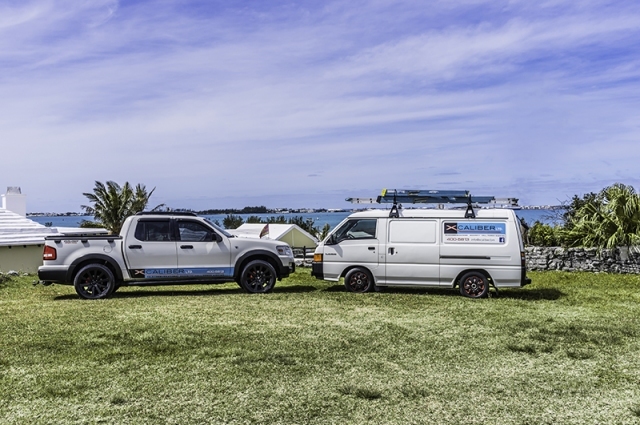 Mr Mackenzie prides himself in his partnership with some of the most well respected security brands in the world. His CCTV cameras are also backed by a warranty. 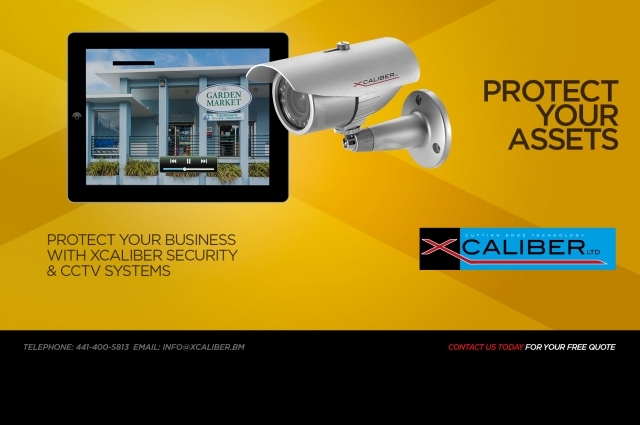 Business owners tend to be big fans of CCTV because it gives them “eyes” on their property 24/7. “They can be anywhere - whether that’s travelling overseas or home taking a sick day- and they can just take out their phone and open the app to see what’s happening right there and then,” he said. 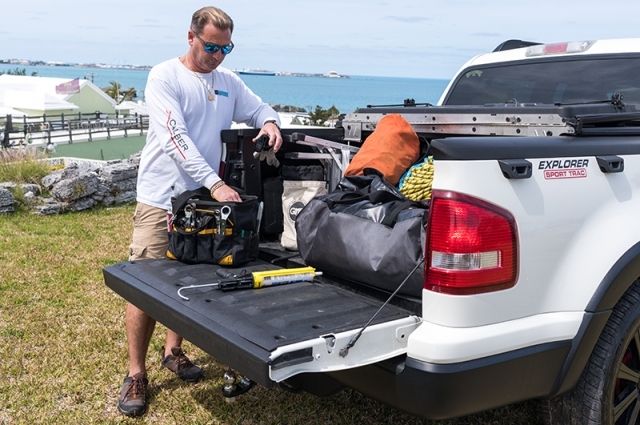 “It’s brilliant how the technology today gives us so many more options and flexibility, which is especially good for those business owners with more than one location as they can’t be everywhere at once. 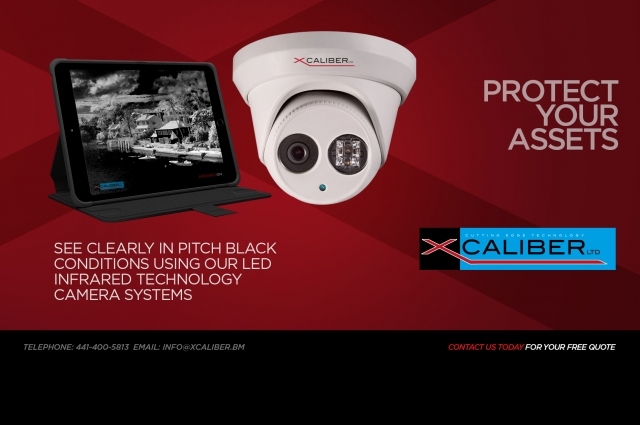 For more information on Xcaliber Ltd, visit them on Facebook or call 747-3839.